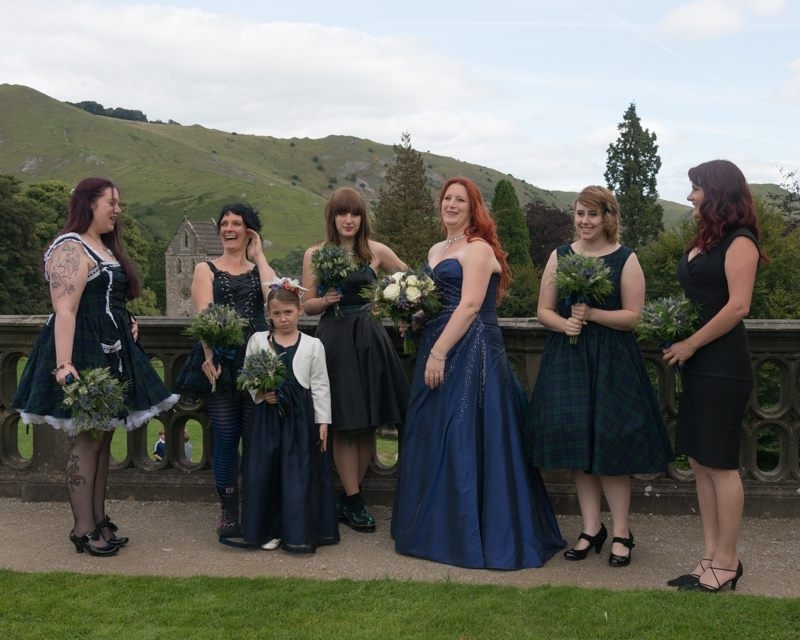 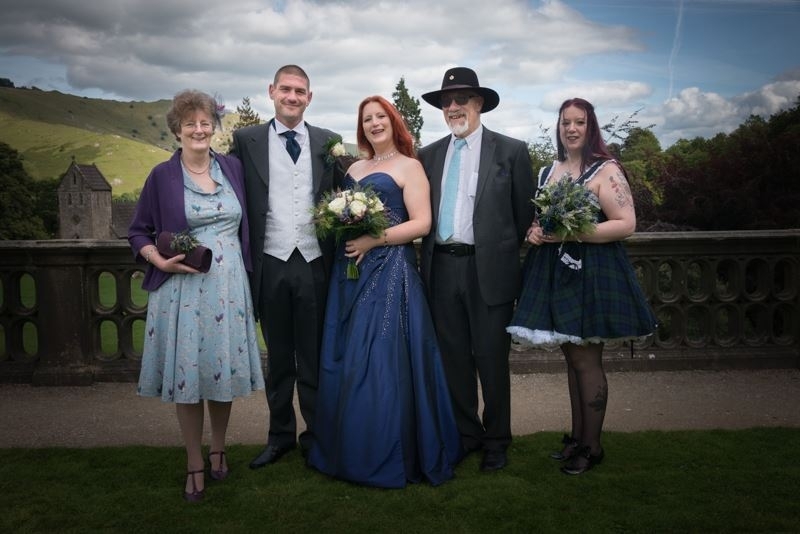 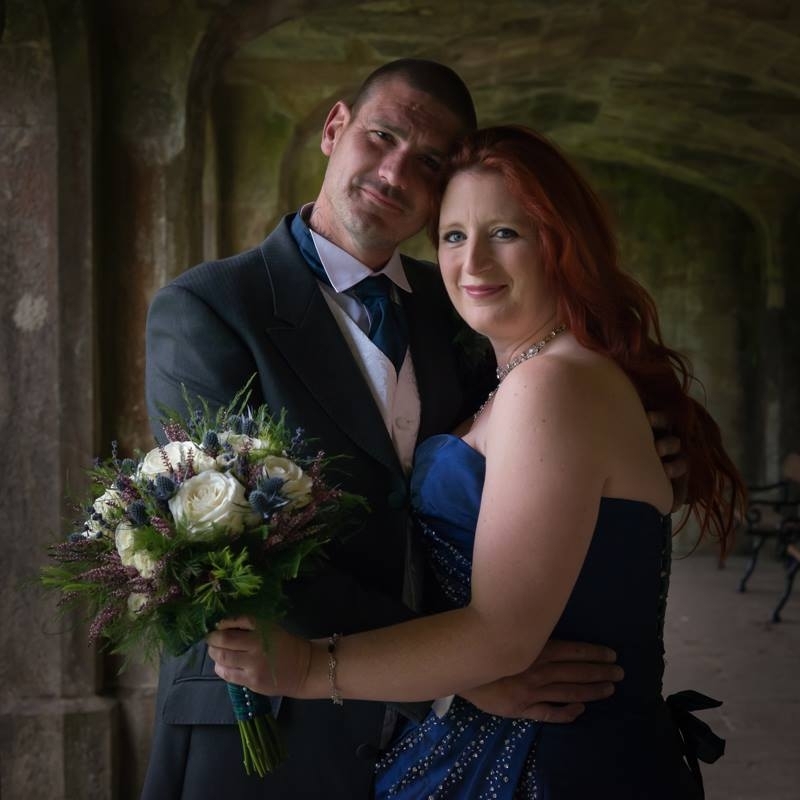 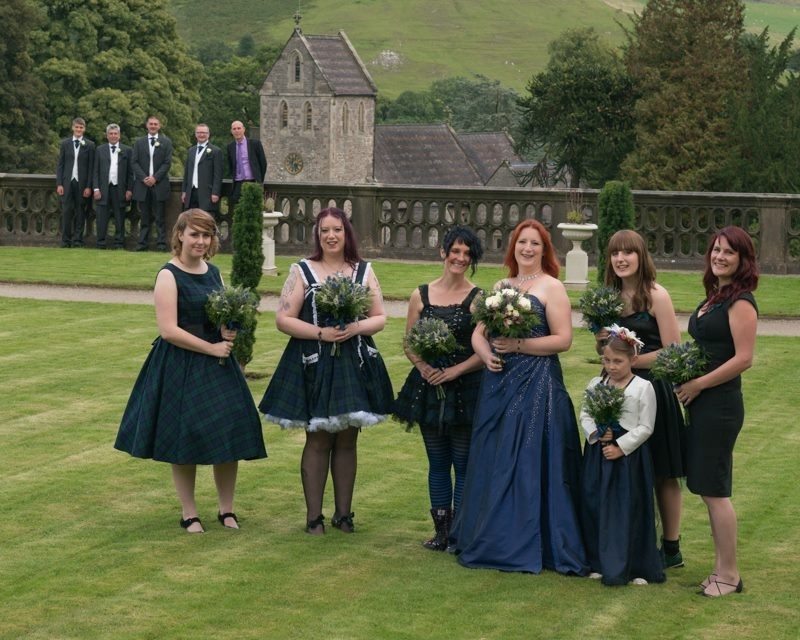 Sue and Adam's highland theme wedding, featuring Black Watch tartan, took place in September 2015 with the ceremony at the Unitarians chapel in Belper and with photographs taken at Ilam Park, which is situated in the spectacular setting of the Derbyshire Peak District. 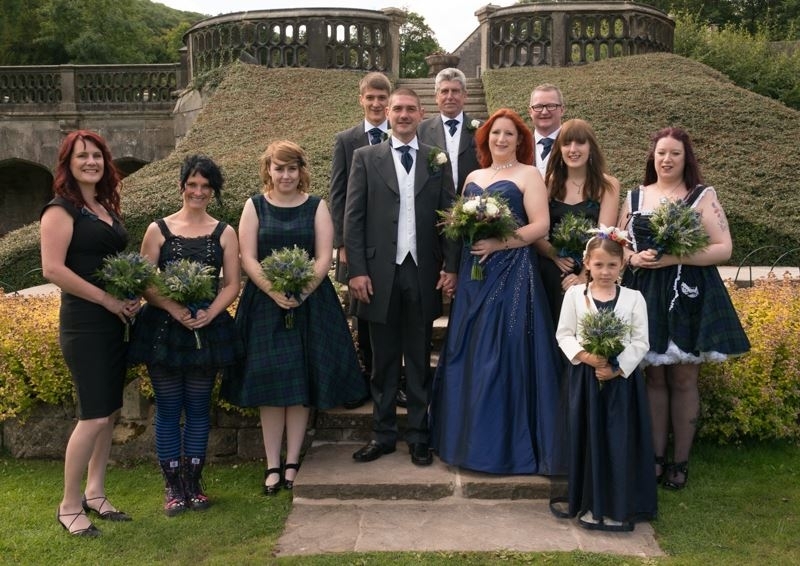 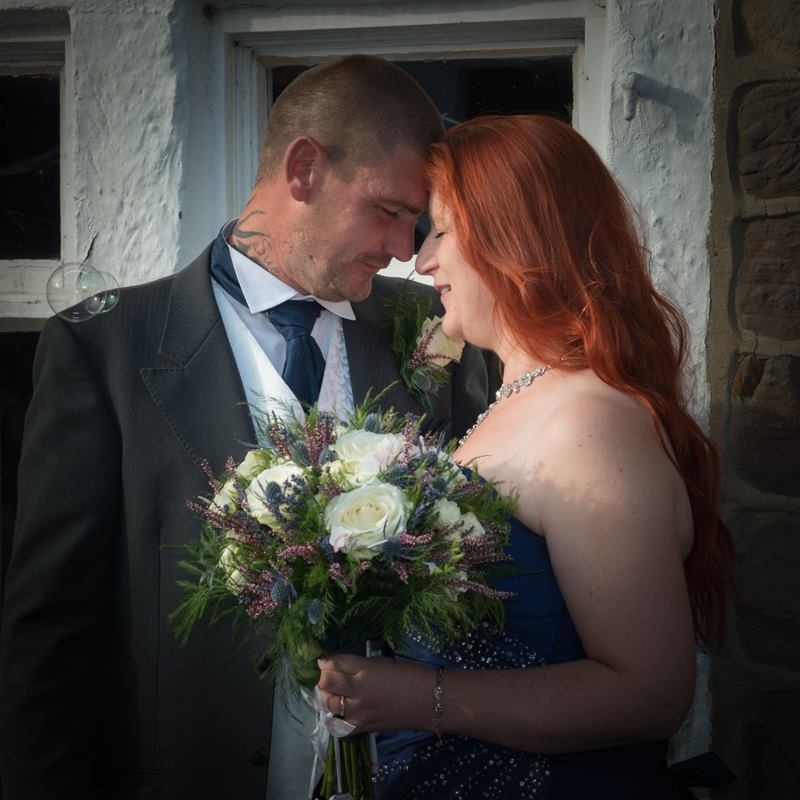 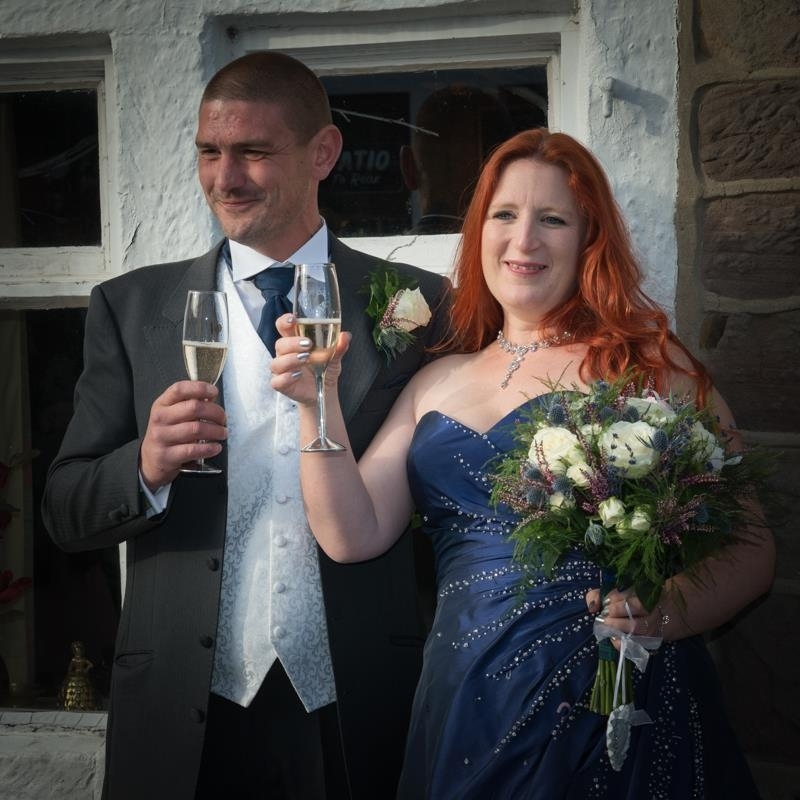 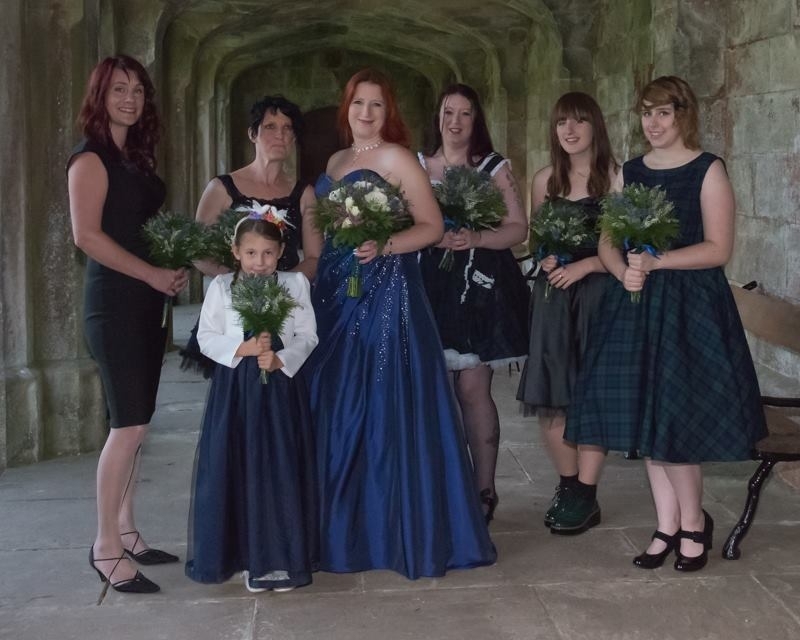 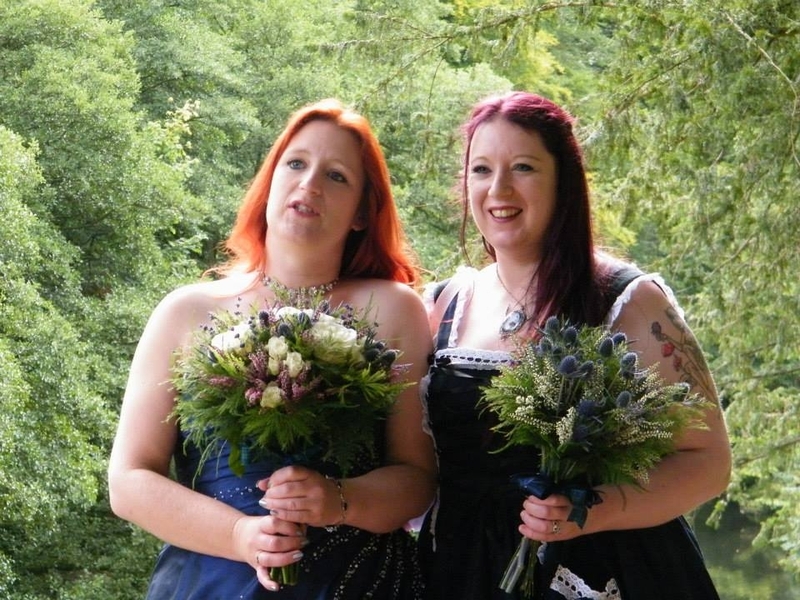 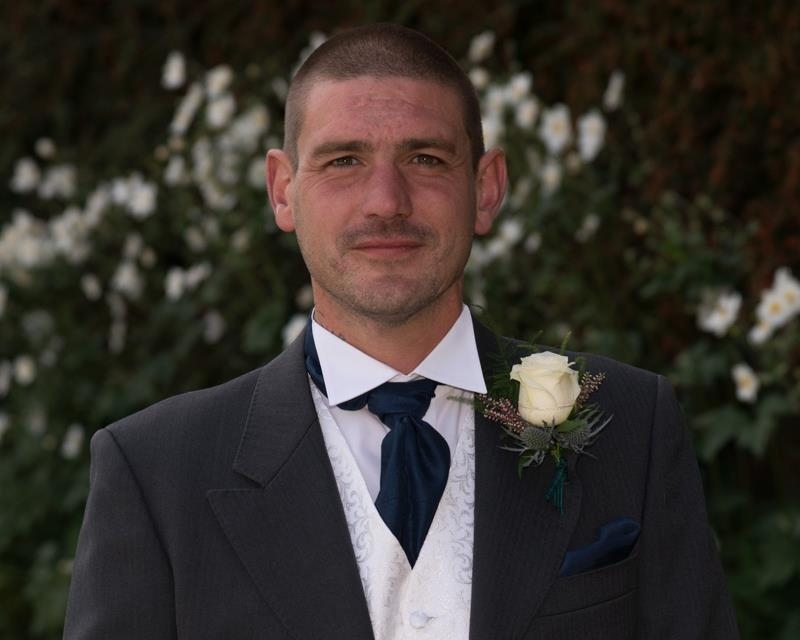 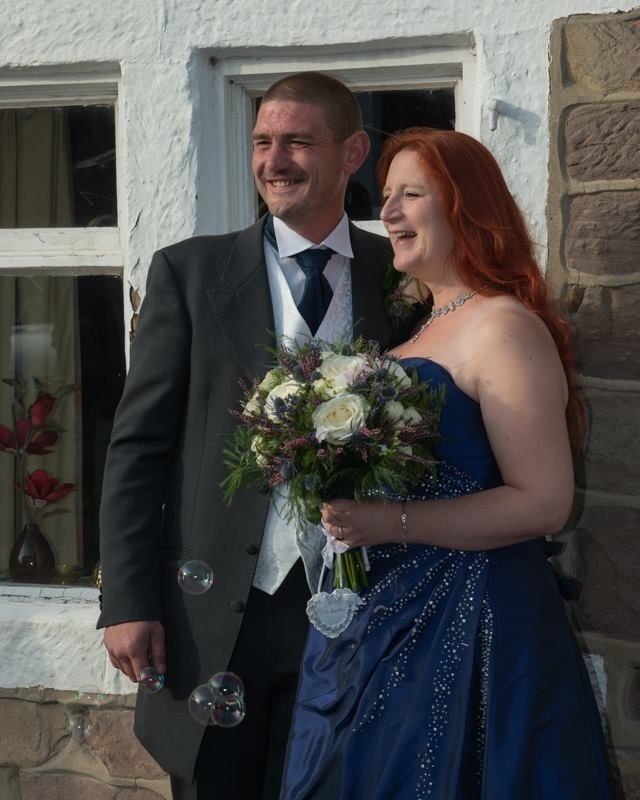 The individual theme ran through to the floral designs and Bride's bouquet featured amazing Avalanche roses, eryngium, lavender and Scottish heather complimented with a mix of ferns. 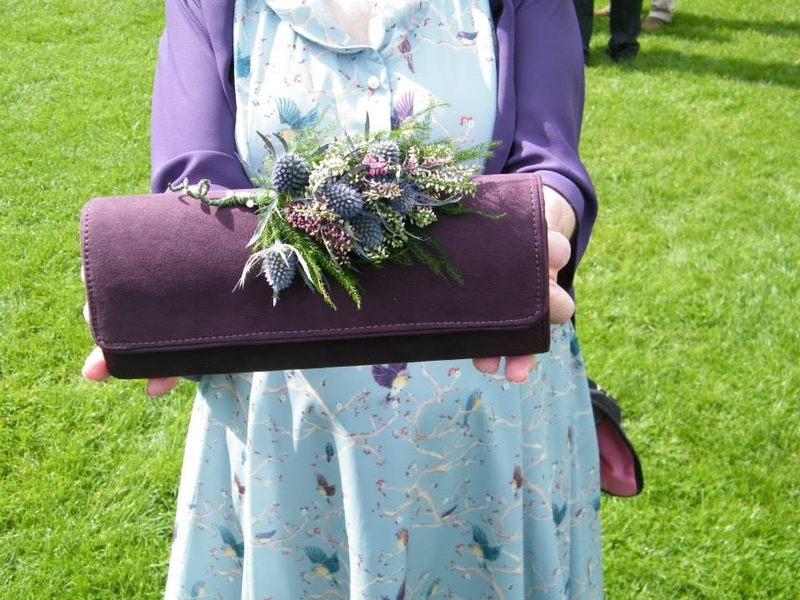 The bridesmaid's bouquets where simply stunning and contained eryngium, white heather and coordinating foliage.